Happy Birthday America! Oh my gosh, I love the 4th of July. 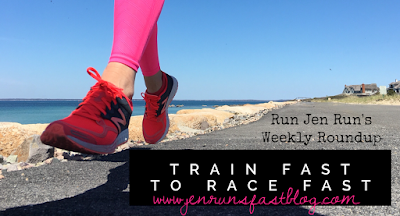 The past few weeks I’ve been leading the Monday night group runs at Cape Cod Rehab but with the terrible holiday traffic on the 3rd, I decided not to go back for it and I asked Erin led the run. (Thanks Erin!) Instead I met up with Kellen after work for a run around my neighborhood. 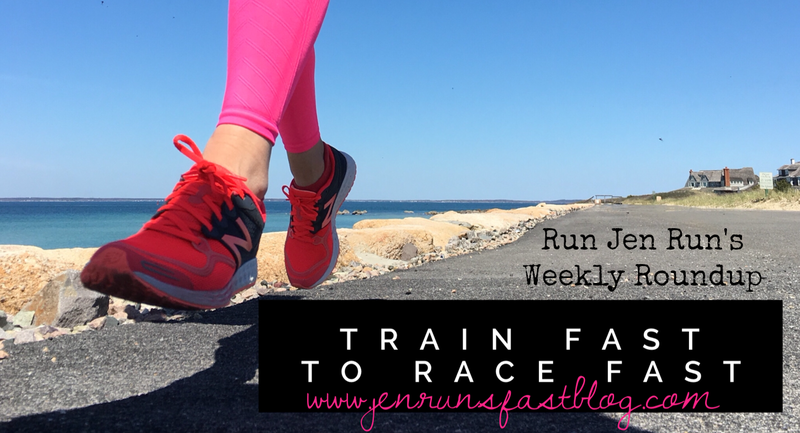 He signed up for the Falmouth Road Race so it’s time for him to get training! After our run we went down to Oregon Beach and soaked up the last bit of sun for the day, ate a ton of his homemade salsa and tried the Hell or High Watermelon Beer that Melissa made me buy when I was home in Buffalo. Loved it! Tuesday was the 4th—aka a bonus mid-week day off! I picked up some fresh apple cider donuts from Cape Cod Coffee and went to Craig’s house for a morning of paddle boarding at his pond. After that I picked up G and we were off to my parents house for an afternoon by the pool. I made it out for 5 miles in the heat when we got home. That night my neighbors were lighting off fireworks for HOURS so it was HOURS of trying to calm G down. I felt so bad for her. It was a long night for both of us. I was pretty tired at work on Wednesday and was not feeling the run. I brought G out for about a mile to get me going but I could only get through 2 miles on my own. Friday morning was probably the highlight of the week even though my week even though my whole week was pretty great. 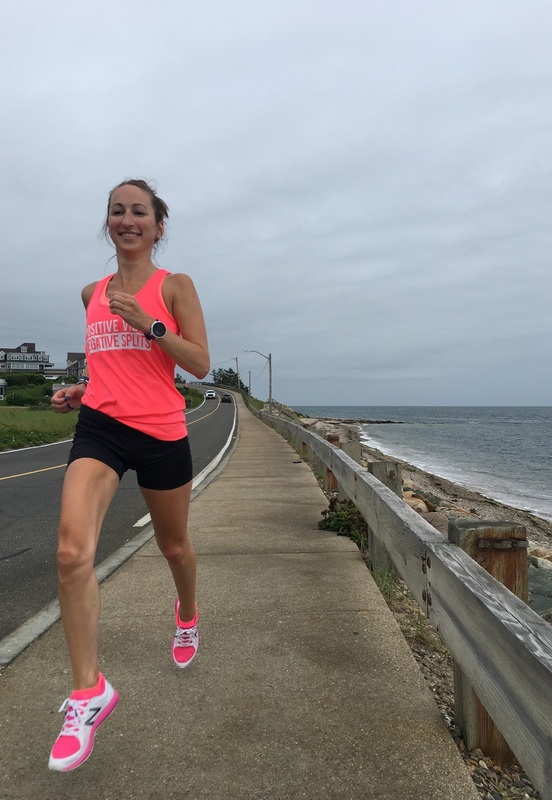 I met up with my friend Michelle for 6 miles in Falmouth. Why was it so great? Michelle was one of my best friends from when I was 11 years old until I was about 13 or 14 when we swam together at the Cape Cod Swim Club. As the awkward nerdy girl with glasses and braces, I always wondered why Michelle the cute bubbly blonde would want to hang out with me. We started to grow apart but saw each other often as we competed against each other all 3-seasons (cross country, indoor track & outdoor track)—I was from Falmouth, she ran for Plymouth South. We really grew apart after high school (she moved to CA) but reconnected a few years ago through social media. 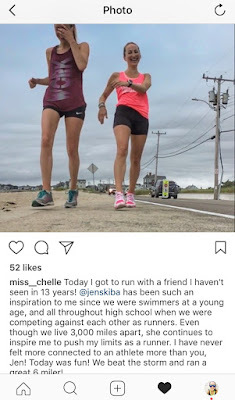 Side note: Michelle is so fun to follow on Instagram (@miss_chelle)—her pictures are awesome and her words are motivating. 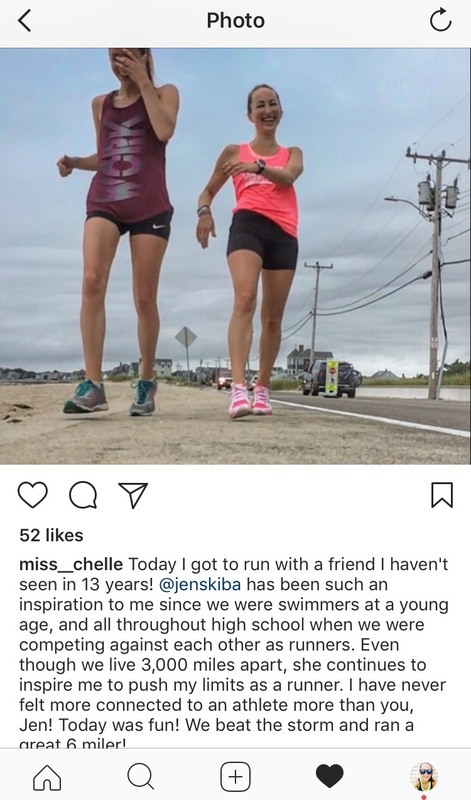 She ran her first marathon in June and I can’t wait to see what she’s going to do next! 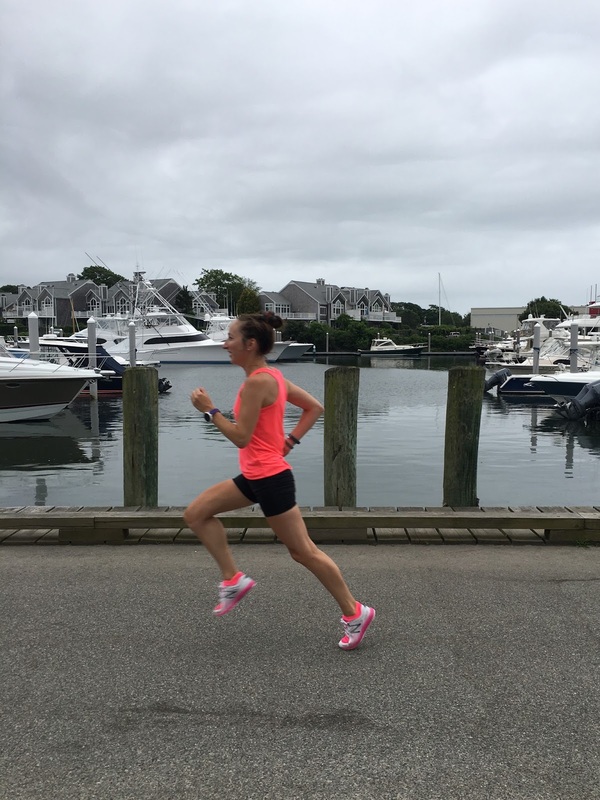 Our run took us for 6 miles along the water through Falmouth Heights. We talked and laughed the whole way and of course stopped for many photo ops. You would never have known that we hadn’t actually seen each other in 13 years. Saturday was another “just get through it” kind of run. I was tired and allergies were making me blah but I did it. I got through it. And I was happy that my weekly mileage totaled 22 miles, 11 of which I had company for. · I went to Sandy Neck on Wednesday night for the first of hopefully many beach fires of the summer! · Friday night I took my mom to a concert at Fenway Park. We saw Chris Lane, Nelly, Backstreet Boys and Florida Georgie Line. It was SO MUCH FUN! Nelly made me feel like I was 18 again (“18 with an attitude, 19 feeling snotty acting real rude…”) and he played ALL the hits. The Backstreet Boys were also a blast from the past. They were my first concert ever when I was 11 years old in 1997. Backstreet’s back, alright! · 10 weeks until Rock ‘n’ Roll Philadelphia!